Posted on January 29, 2018 at 11:57 am. Epic Ape by Playtech – Playtech is doing things a little differently in Epic Ape, adding a unique sixth reel to the mix for a gigantic 4,096 Ways to Win. 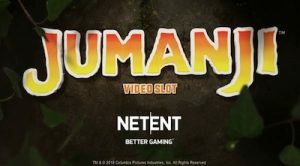 This slot is themed deep in the jungle using bold and vibrant graphics and comes packed with special features, including a diamond wild symbol that has the power to trigger up to 100 free games with all wins multiplied X5. Epic Ape has been designed for players seeking high volatility games and it delivers using Playtech’s proven mathematic model. 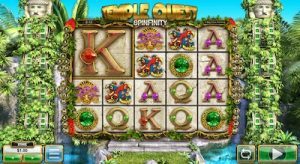 Temple Quest by Big Time Gaming – Set deep in the Amazon, Temple Quest features 40 pay lines and those coveted MegaSymbols which can kick off Big Wins and Mega Scatters. Best of all, this game features BTG’s Spinfinity Free Spins feature, where you can re-trigger free spins to an unlimited amount. It’s a unique game that not only looks incredible but brings some big winning potential, and it will be available in selected online casinos on January 31st. Fu Chi by RTG Asia – Fu Chi celebrates the Chinese Year of the Dog, and has been custom designed for the Chinese market, adding to a growing list of online slots with a specific Asian focus. The game is powered in Mandarin, with Fu Chi wishing players luck, peace, wealth and fortune on every reel while majestic fireworks sparkle in the background. Vibrant, sophisticated and with a tonne of winning potential, Fu Chi is a great addition to the RTG Asia catalogue. Other slot titles set to roll out at online casinos during February include Rainbow Wilds by Iron Dog Studio, WiXX by Nolimit City and Crazy Birds by Greentube.